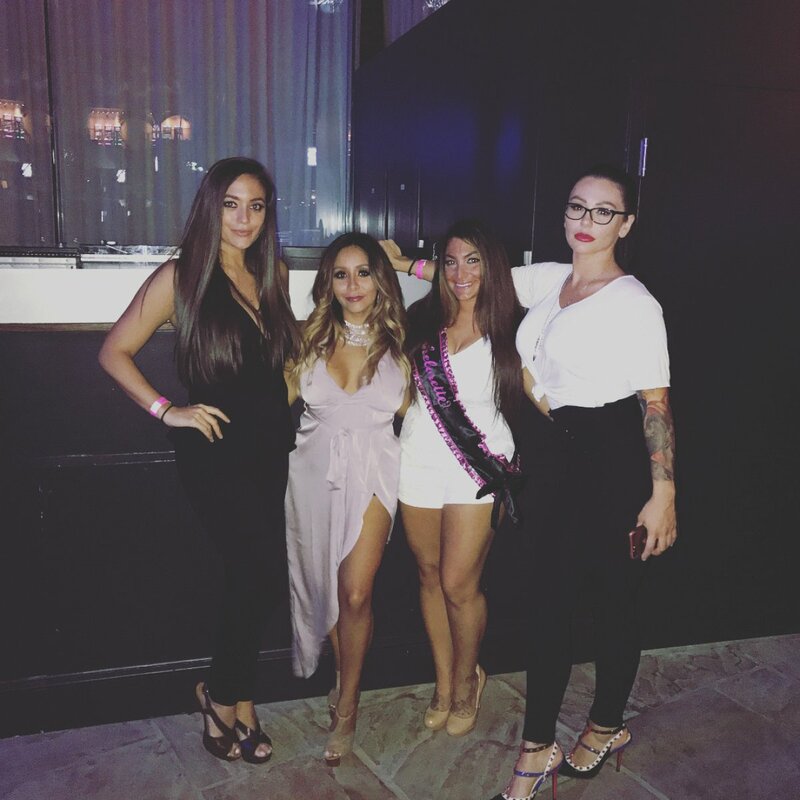 Sammi opted out of filming the Jersey Shore reunion with Deena Nicole Cortese, Paul "Pauly D" DelVecchio, Jenni "JWoww" Farley, Vinny Guadagnino, Ronnie Ortiz-Magro, Nicole "Snooki" Polizzi, and Mike "The Situation" Sorrentino, which premieres Thursday, April 5 on MTV. "I have chosen not to join the show this season because I am at a completely different place in my life right now focusing on my businesses and relationship," Sammi, who was nicknamed "Sammi Sweetheart" on Jersery Shore, wrote in a Friday Instagram post. Jersey Shore fans watched Sammi's tumultuous relationship with Ronnie unfold on TV from 2009-2012, and they officially split in 2014. Now, the brunette beauty is dating boyfriend Christian Biscardi. "I am not the same person as I was when I was 22. At 31, I am currently extremely happy in every aspect of my life and want to avoid potentially TOXIC SITUATIONS. However, it was a difficult decision as I love my roomies," Sammi continued in her statement. "I've decided to focus on me, my future and what truly makes me happy. I will forever be grateful to Jersey Shore and everything it has brought to me! I've just decided to live my life for me these days. Also I am forever grateful & thankful for all of you!!! Special shoutout to my fans, but I'm not going anywhere! Follow me and stay tuned, you never know what I could be up to NEXT!" A source told Us Weekly late last year that Sammi did not want to have to face Ronnie -- who recently dated Khloe Kardashian's best friend Malika Haqq -- on Jersey Shore: Family Vacation. "Everyone was invited to come on the show but Sammi was the only one who didn't want to. A big reason for that was because she didn't want to be around Ronnie," the source said. "She has been enjoying her life off of TV and didn't want to change that." However, the rest of the cast apparently has high hopes Sammi will join the show's second season. "There's always a chance, yeah," Vinny told People while sitting down with the reunion's cast. "I would almost bet on that," Pauly D said of Sammi's potential Season 2 participation. "For somebody to say 'no' to that and then the media and all the comments -- she must see them. She must want to do it, I have to say. She must want to do the second one." JWoww then pointed out how Sammi will never escape her role on Jersey Shore and being a member of the family so she might as well "capitalize on it" and "speak your own truth." "Fight us on whatever, or love us, or be around us. It's kind of [sh-tty] she's not taking the opportunity," JWoww added. "I don't know if she will [join] though," Deena noted. "We'll see. We tried to talk to her about that and she was like, 'I would love to,' but she's just not into it anymore." The cast reunited for the Family Vacation spinoff after five years of Jersey Shore being off the air. Jersey shore ran from December 2009 to December 2012 and followed the group of young adults partying hard in the Garden State. Jersey Shore went on to have several spinoffs, including Snooki & Jwoww and The Show with Vinny. 'The Bachelorette' spoilers: Who got Becca Kufrin's First Impression Rose?